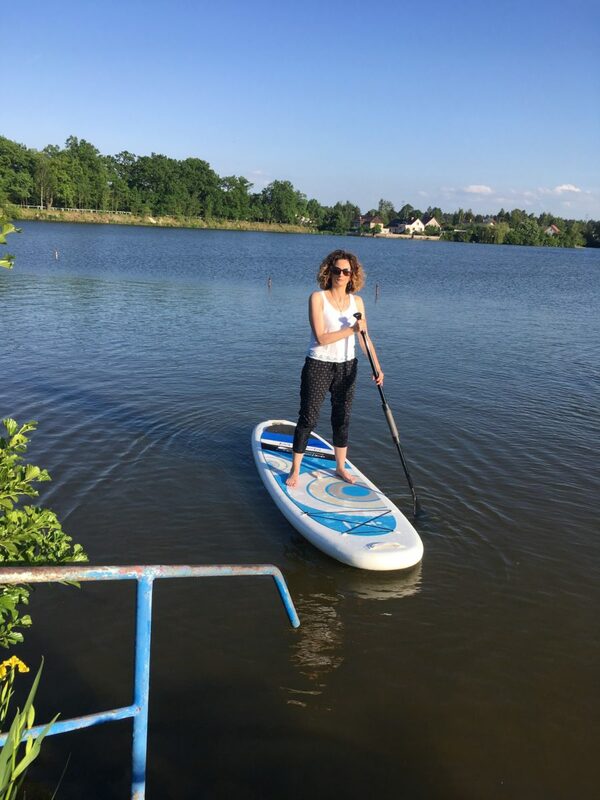 Paddleboarding is a dynamically growing water sport originally from Hawaii, where you stand on a stable float and use a long paddle to move around the water. 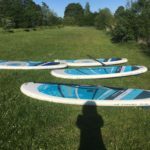 In this sport you will improve your balance, coordination, physical fitness and evenly engage the muscles of the whole body. 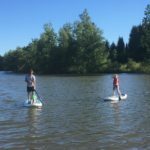 Paddleboarding is designed for all ages and thanks to its surprising simplicity, it can be quickly learned and enjoyed even by a beginner. 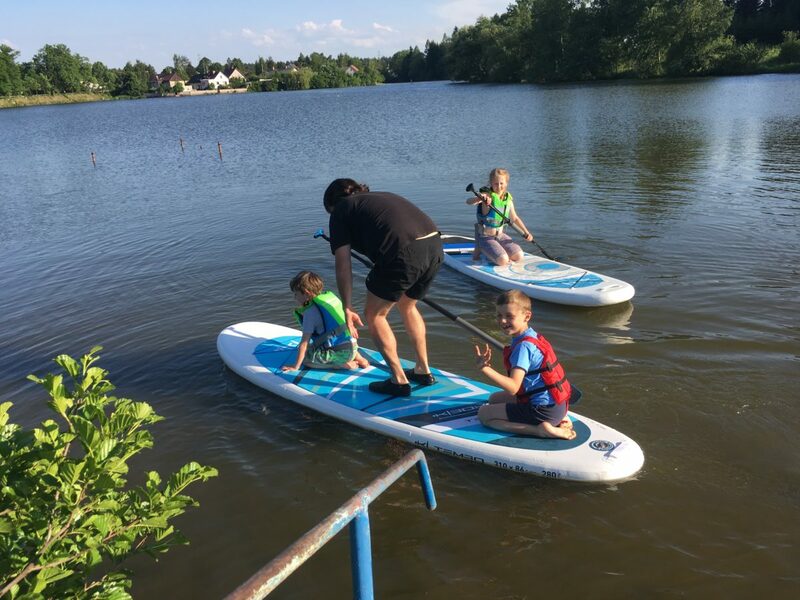 You can now try this sport yourself on the 16 hectare Pavovsky pond right outside the camp Pavov near Jihlava in Vysocina. 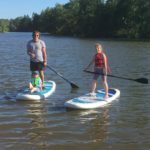 We have several paddleboards for you at our rental place. 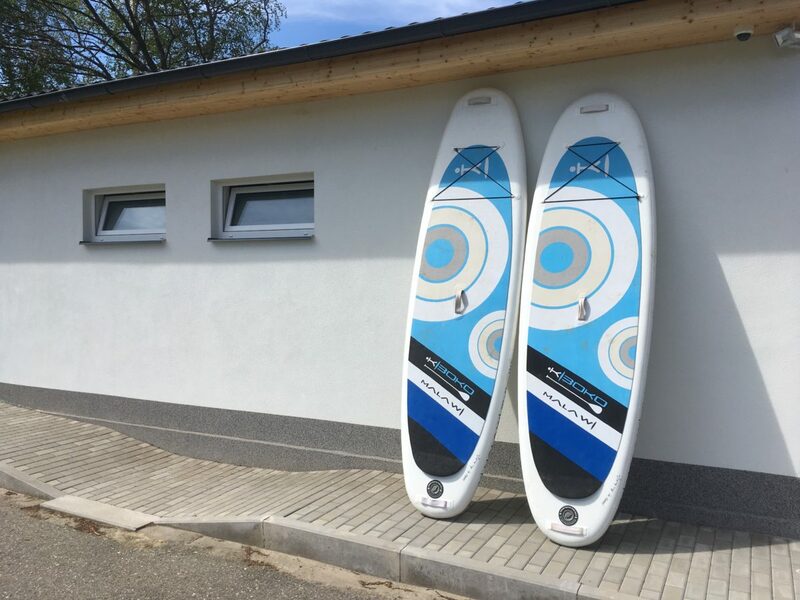 You can rent a paddleboard for a trip or holiday in the Czech Republic and abroad. Renting can also be an interesting alternative if you own only one float but would like to go on a trip in a larger number. 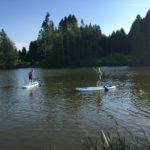 Come and try paddleboarding at Camp Pavov in Vysočina! 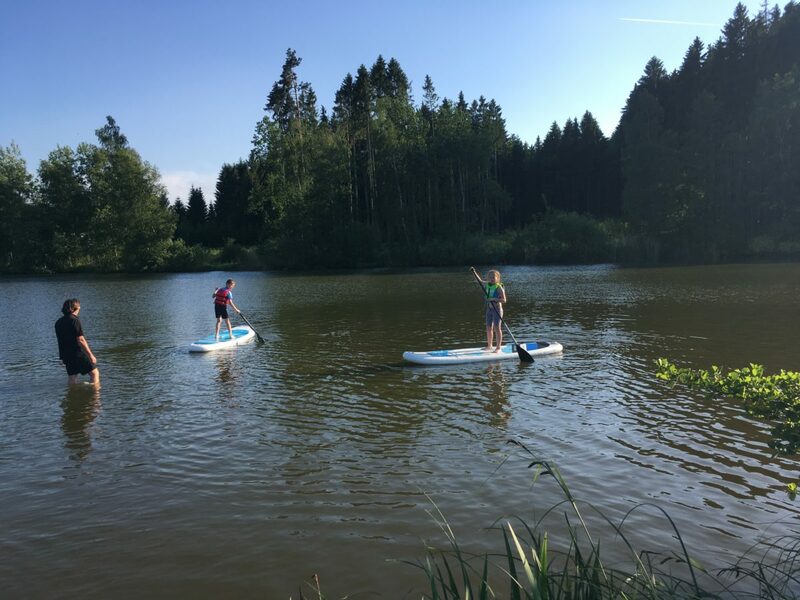 Paddleboards can be rented at the campsite reception. 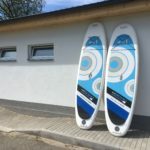 There are inflatable, highly durable paddleboards made of two-layer PVC, so they are also suitable for rafting or for use at the sea. 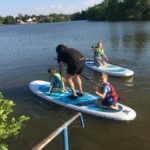 The equipment includes paddles and lifejackets. 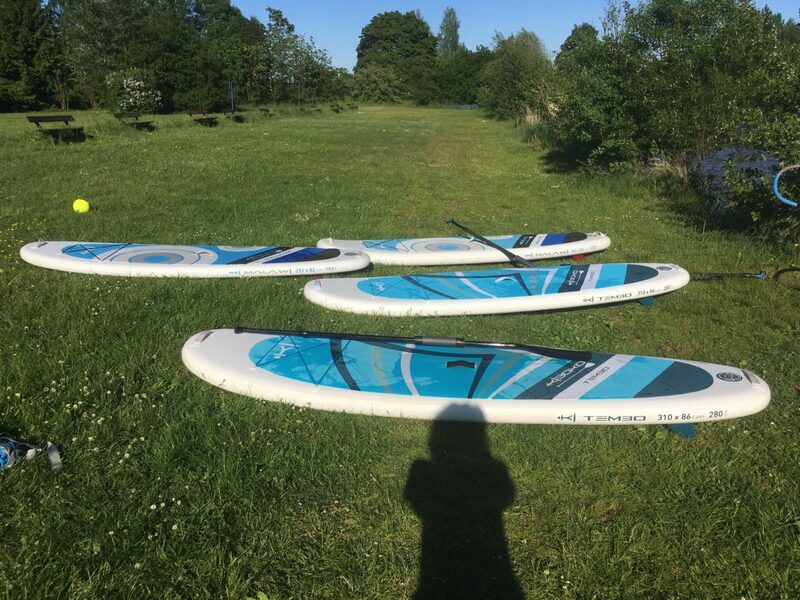 The prices are for the rent of 1 piece of paddleboard including the backpack and a pump, a paddle and, if necessary a lifejacket and also the possibility to use the shower in the camping area free of charge. The lessee is required to provide a valid identity card and at least one other valid identity card of another person, or to deposit an agreed amount. 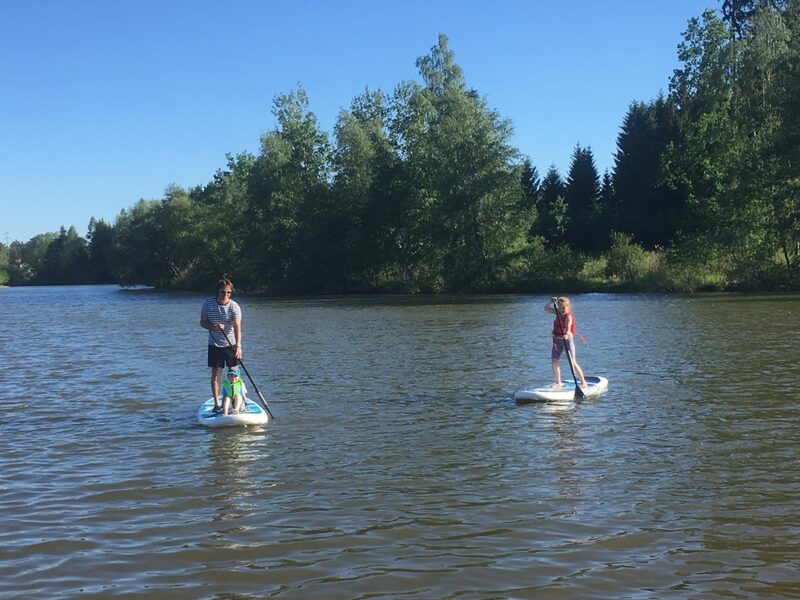 Stand Up Paddle boarding (SUP) is rented for an agreed period of time. 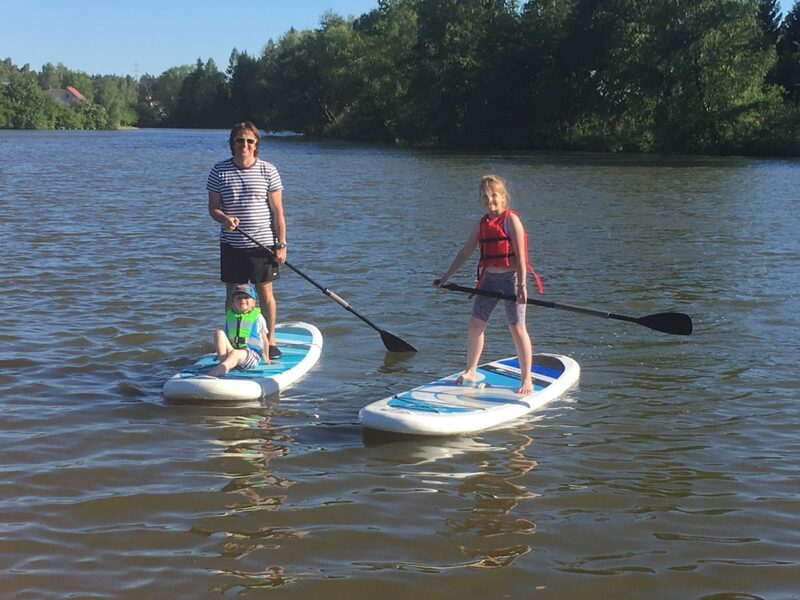 Lease time means the time from the takeover of the SUP until its return. The rent is payable immediately upon the receipt of the SUP. If the agreed usage period is exceeded, an additional rent will be charged in the amount of 50CZK for every 30 minutes commenced. The rent is non-refundable even if the rental period is not fully utilized. By signing the lease agreement the lessee assumes responsibility for the SUP. The lessee is obliged to check the condition of the SUP upon takeover and to immediately notify of any visible defects or damage. 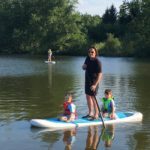 The lessee is obliged to use the SUP properly and in accordance with the purpose for which it serves and to protect it from damage, loss or destruction. 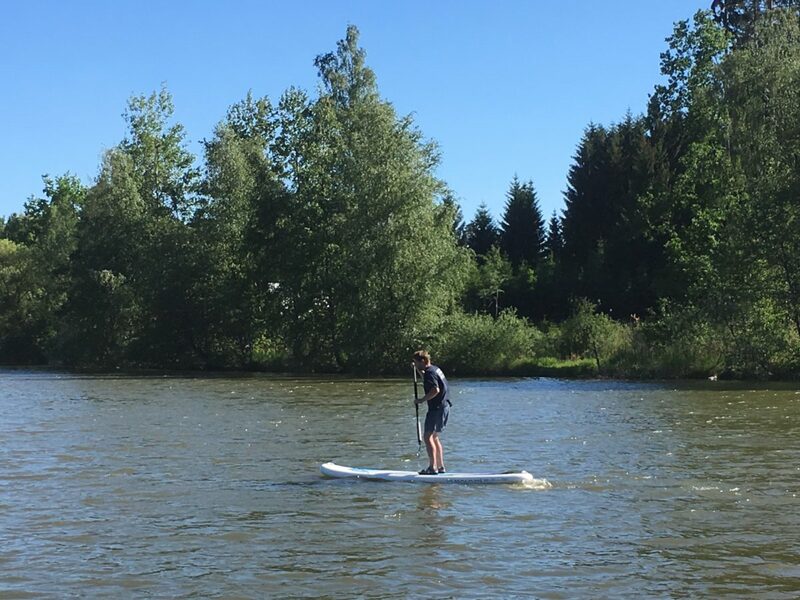 In the event of damage, loss or destruction of the SUP, the lessee is obliged to notify the operator without undue delay. If the lessee has paid a deposit, the lessor is entitled to use this deposit to cover the damage incurred or the rent due if the lease is exceeded. 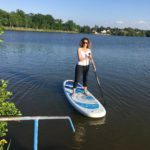 The lessee is not responsible for the common wear and tear caused by the proper use of the SUP. The obligation of the lessee to compensate for damage is governed by the provisions of the Civil Code on Liability for Damage. 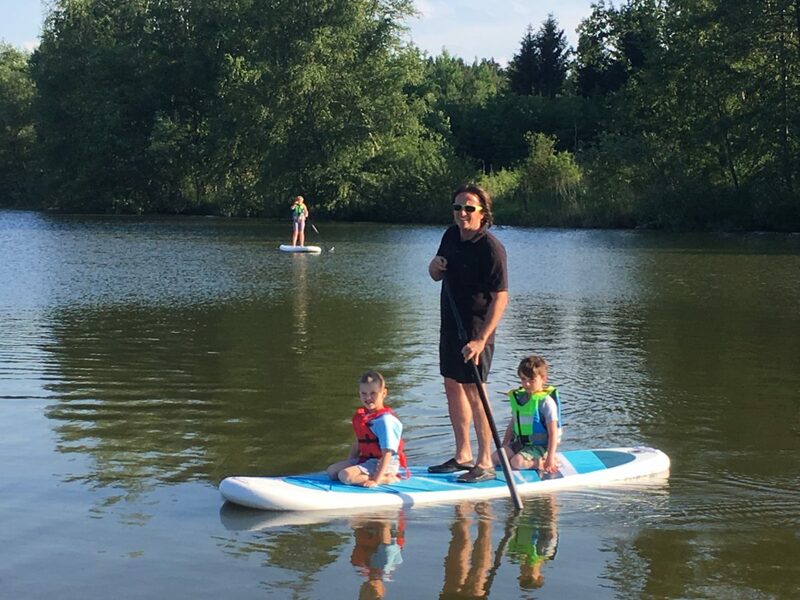 The lessee uses the SUP at their own risk. The operator is not liable for any damage caused by the SUP to the lessee or others. 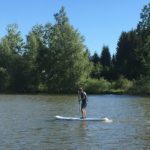 The rental manager may refuse to rent the SUP without giving any reason. It is the duty and responsibility of each lessee to become familiar with a brief excerpt from the Order of Sailing and Navigation Safety and adhere to it.